$18.95 …like a pressurized wall of water to drive out the loosened debris and wash it quickly away. Made of non-brittle UV protected ABS Integrated on/off valve Attaches to any garden hose Product notes: For all spa and pool pleated filter cartridges. From Mi-Way. Use with Eco Spray instant filter cleaner. $12.95 …cant. 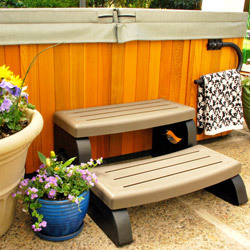 Perfect for around hot tub step areas. 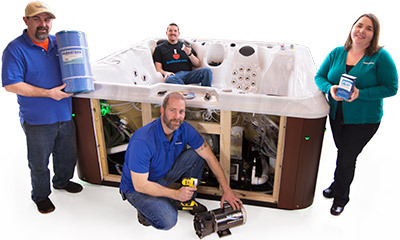 Unbeatable for cleaning hot tub foot wells and inside hard-to-reach filter housings. Use it for cleaning filter cartridges and canisters too. Hot tub pressure washing tool Perfect for cleaning hard to reach areas Shutoff valve Product notes: 27" long.